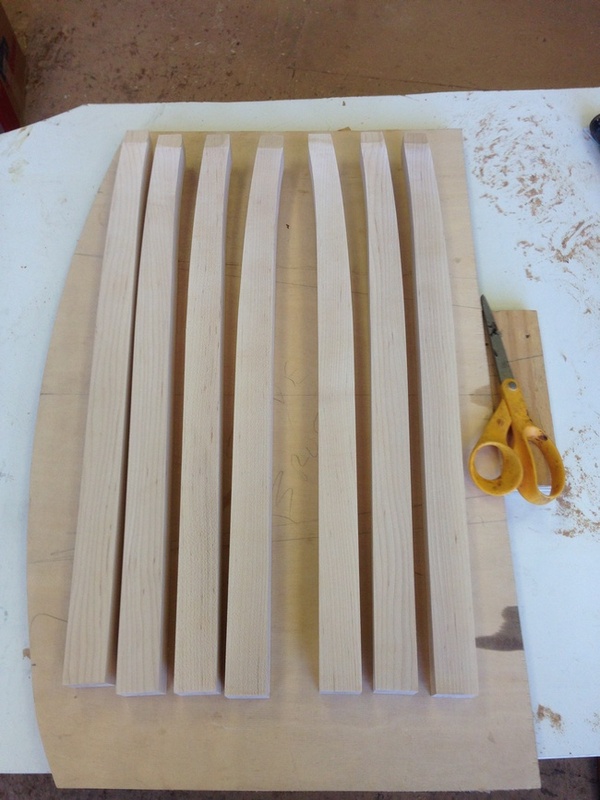 The first step is to cut jig patterns that match the arc of the ends of the tables. 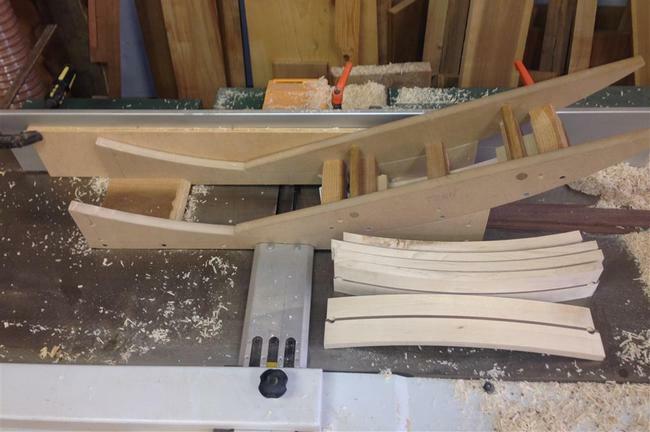 These patterns will guide tools and router blades in a precise arc. 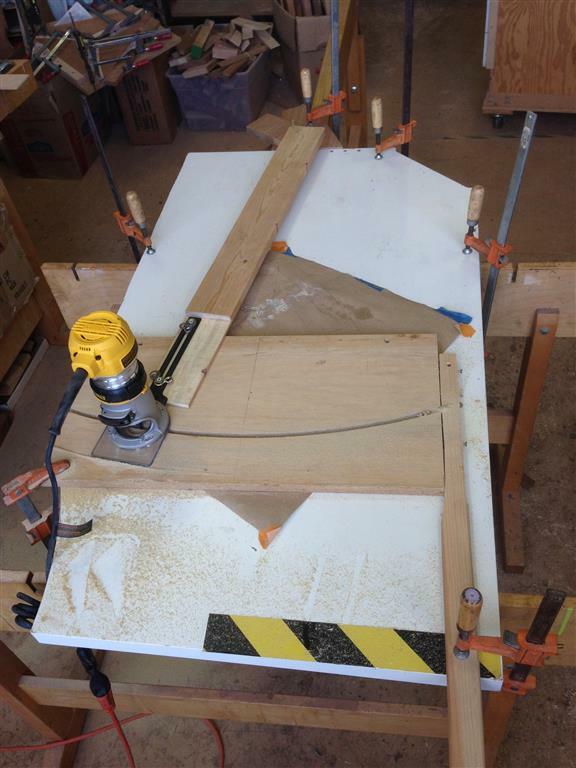 I use a hand-router mounted on a swinging arm to cut a 34 13/16" radius arc. 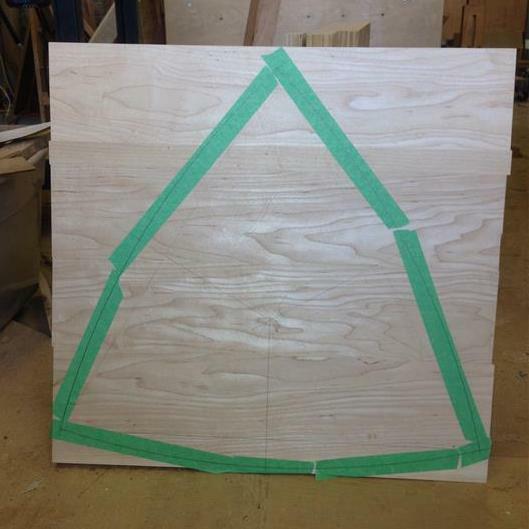 The tops consist of multiple boards of hard maple glued together with bisquits between them. I start with 8/4 stock and resaw it in half. Then I can lay the tops out as a bookmatched pair. 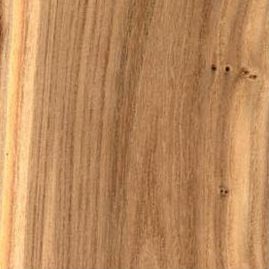 Using a compass bar, I mark the outline of the table top on the glued-up blank. 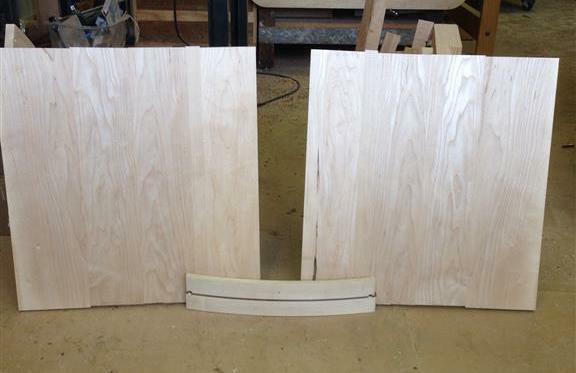 Shaping the curved aprons: First, I glue up two 8/4 blocks of hard maple with dark walnut thin stock between them. This will end up being the accent mark in the apron that the client likes. Next I rough-cut the apron blocks on a bandsaw, and sand the inside curve using a drum sander. The outer face curve needs to be very accurate and smooth. It is the show side of the apron. 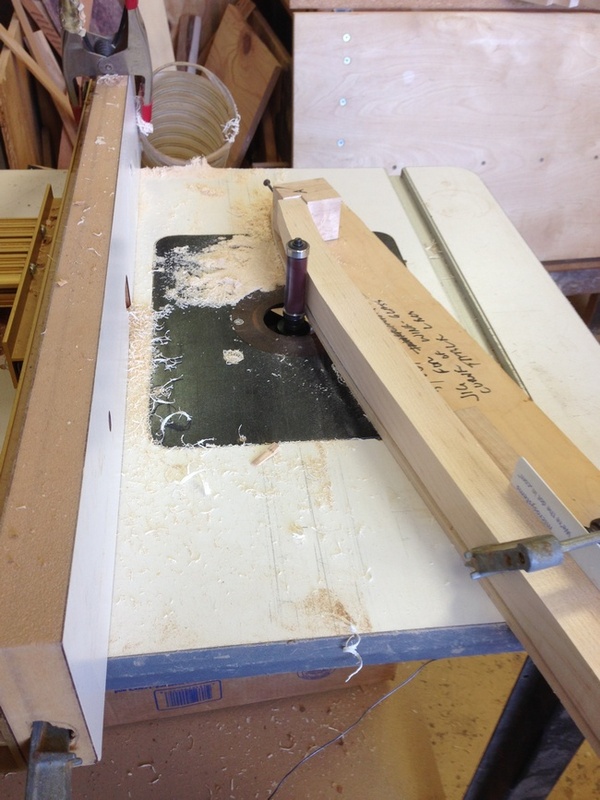 The legs are shaped in jigs that lock the leg blank in place and run against a bearing on the router. 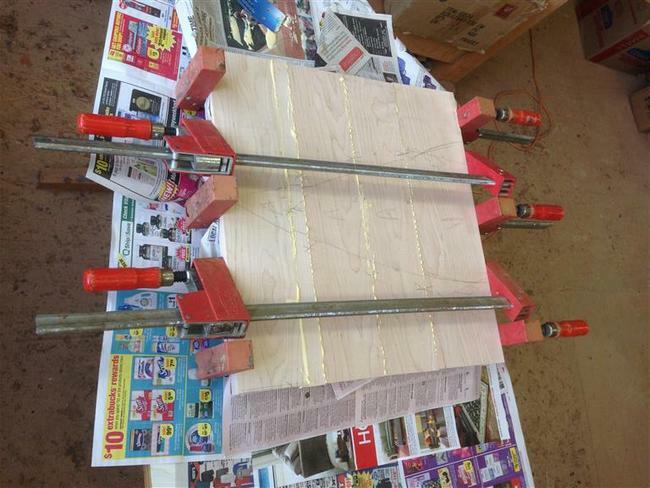 Shaping the legs using bearing-guided router jig"